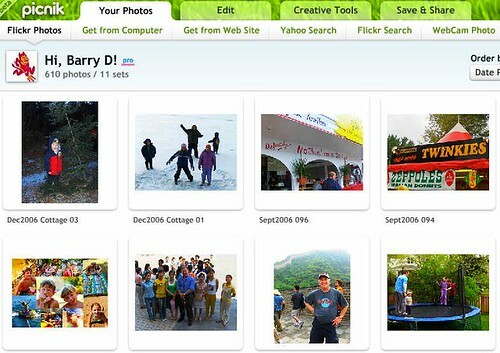 Until recently, the only Web 2.0 tool/service that I’ve ever paid for was Flickr. 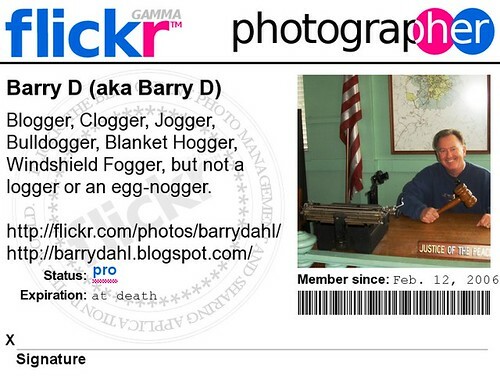 Two years ago I paid about $48 for a two-year Pro membership to Flickr. I had been using the free version and liked it so much, and found that it was so valuable to me, and found that the free version didn’t quite meet all my needs (I now have 2,550 items uploaded there), so I broke down and spent a little money. I haven’t regretted that choice at all. I paid that fee prior to Flickr becoming a Yahoo property. The other part of my decision was a sincere desire to lend modest financial support to make sure that Flickr could survive. With Yahoo now in the driver’s seat, they really don’t need my cash any more (or do they? ), but I’m going to renew my membership within the next couple of days for another two years. The second time I paid for something was just recently when I started this new blog here at wordpress.com. 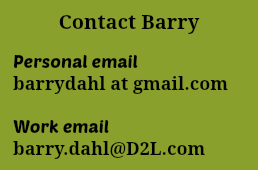 It’s totally free to have any number of blogs at WordPress, but I wanted to use my own URL (barrydahl.com). To do that I had to pay $10 per year for domain mapping which is what makes this blog appear at my URL instead of the standard wordpress.com URL. I’m also going to pay another $15 (per year) to be able to customize the look and feel of the blog through the style sheets (CSS) for this particular theme. Therefore, my WordPress blog is going to cost me another $25 per year. Apparently I’ve found my sweet spot for what I’m willing to pay for a really useful service – $25 per year. Now the question is, which services are worthy of my financial contributions, and why? I’m seriously thinking about paying for more of these services in an effort to help make sure that they are still around in the future and to help insure that I have a higher quality experience with those services. Before I even begin to make the rest of the list, I have already decided that I would be perfectly happy to spend about $200 per year (yes, I know that’s still almost nothing – I guess I’m cheap). Therefore, I’m looking for about 8 applications that I would spend about $25 each for. That would leave the other 75-80 tools that I currently use (some very little, some very much) in the unpaid status. 3) I love the photo editing tools at Picnik.com. They have a premium plan that fits right in at my $25 per year guideline. The free tools are probably good enough for me, but occasionally a premium tools might come in handy. The other thing you get with the premium service is that they take away the on-screen ads. The ads are a bit annoying, but something that I’m generally willing to put up with as long as something is free. The premium tools and no-ads are probably not enough reason for me to pull the trigger on the payment – but keeping them in business so that they can continue to fluff the clouds and kill the ants (or whatever other references to a picnic that they make) is probably a pretty good reason. 4) The Zoho Suite of web office (and other) tools has become indispensable to me. I use the online word processing often, I love Zoho Creator and Zoho Notebook, and sometimes use at least four of the other tools there (Polls, Sheet, Wiki, and Show). However, most of their tools are free and I’m not really interested in the few tools that have a premium (for-pay) service. Those premium tools are directed at a Business audience and for the most part aren’t very useful to me. So, although I would be willing to pay a little sumtin-sumtin, I guess I won’t. Creator is the one premium tool that I do use, but their $25 per month fee (for business accounts) sounds about 12 times more expensive that what I’m willing to pay, so I’ll stick with free. 5) Although I’ve been playing with several different online music services, I still like iMeem the best. I’ve been using the free service but they do have a $25 per year premium service. I could see paying the fee but there are two reasons that I haven’t yet. a) their premium service doesn’t include any really compelling services that I feel I must have, and b) I keep feeling that the next best music service is right around the corner. Still, I would (and just might) pay iMeem sincwe it is one of my favorite Web-based services and it fits within my price range. 6) gMail (and all the other Google services) is free. 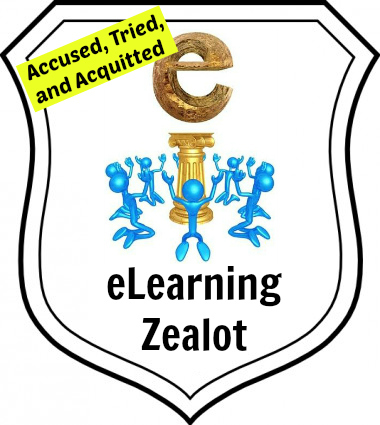 There is no doubt that I get enough value from their various services that I would be willing to pay my agreed-upon pittance, but I’m not compelled to do so until they really need the money – and besides, they’ve never asked (any of us). 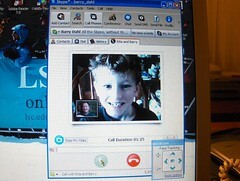 7) Skype is a tool that I’ve used a lot over the past few years. However, I’ve found the quality of service to be rather shaky over the past several months. This is a tool that I would have been willing to pay $25 for in the past, but now that the calls aren’t very clear and that the video is more unreliable, I’m not so sure that I still would be willing to pay. Still, it’s great for when I’m traveling (especially out of country) to be able to talk to and see the family on the computer. There are now plenty of alternatives to Skype, so maybe now it’s time to pick one and go with it. 8 ) I love Toondoo for making comic strips and ToonBooks. I would be willing to pay $25 per year in order to have a separate site where kids could create and share their cartoons away from the temptations to view some of the less appropriate materials that are often found on the main site. They added a safe search button, but that only goes so far. What I’m thinking about is sort of a Ning site where only the people you want to let in will be there but where you still have access to all the Toondoo creation tools. That would work well with my elementary school afternoon tech club. 9) I really like the quality of video delivery from Blip.tv, quite a bit better IMO than YouTube. For hosting and delivering my videos I would be willing to pay something, but there $96 per year Pro Account is a bit out of my comfort zone. They have several features available only to Pro account holders, but none of them are compelling enough for me to plunk down $96. 10) I haven’t decided for sure yet, but maybe I would pay $25 per year for either a social bookmarking tool like del.icio.us or Diigo, and maybe I’d also pay for a good wiki site such as PBwiki or WetPaint. But for right now, free feels like the best price point for all of these tools. So, to recap, I’ve only spent $50 so far out of my $200 allocation for “free” tools. I’ll report back after a few months to let you know whether I pulled the trigger on any other payments. After writing this post, I’m less inclined to do so than I was when I started down this path. I found it astonishing that someone still writes WITHOUT ##$@*&## and other such language! Must be attributed to the afternoon elementary class training. Greatly appreciate the broad review (for and about minimal prices) just don’t know what the cumulative annual is! Next review please mention what your equipment lab contains …. sounds like what you save on fees is racing out the door in hardware(?). i didn`t pay for any free stuff yet..
still, great, you had experience with those above stuff which you can share for sure with readers..